I've been feeling sick and tired for ages now (like... two months), but things are finally looking up, so let's just jump back in to real life, shall we? 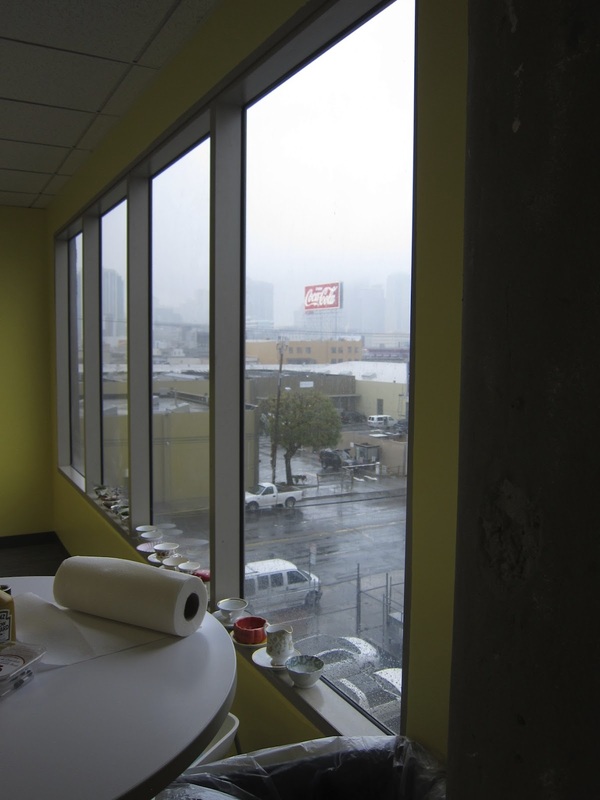 Today was nasty and rainy out, while the rest of the country is finally getting warm, sunny weather. But honestly I don't mind a bit of weather (we've had an awfully mild and dry winter). I did attempt to bike in to work this morning, though, and it was no good. Next time, muni instead! I tried to look on the bright side. 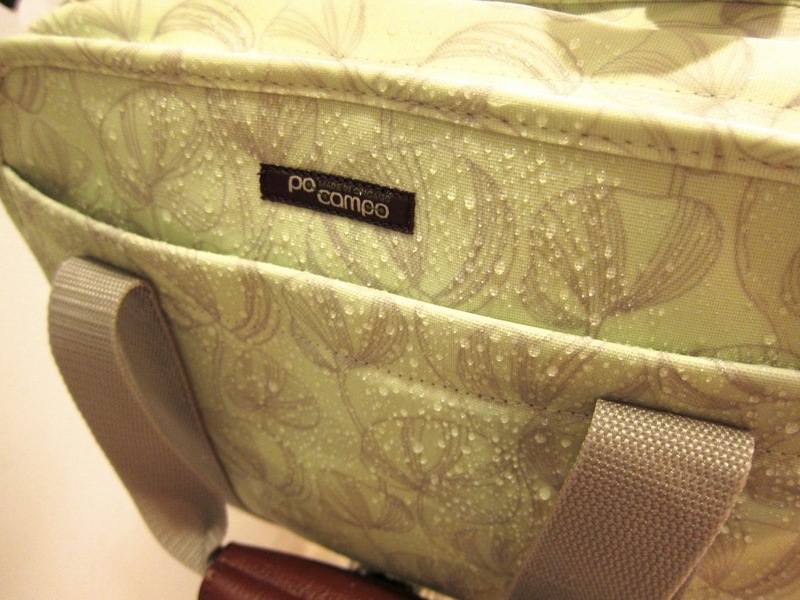 I just got a new, lovely bike pannier bag (from Po Campo - I'm in love with their company now!). 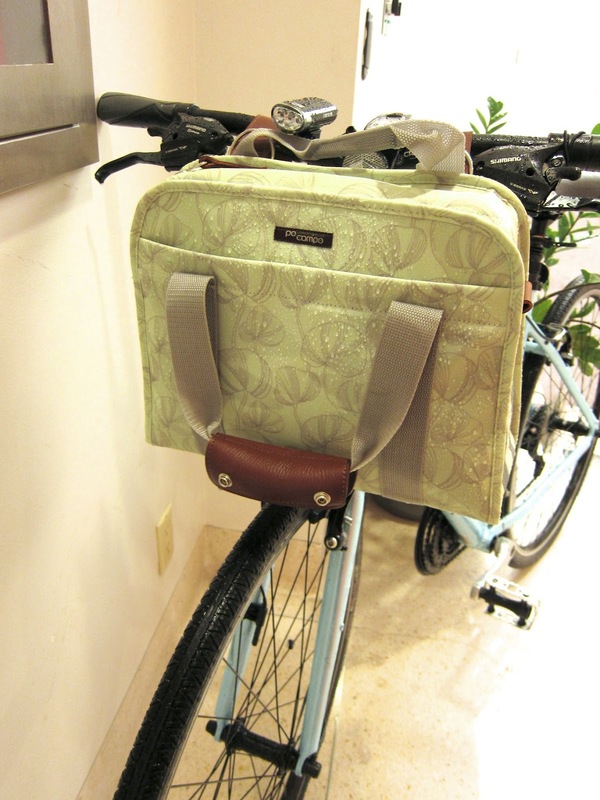 While I don't have a rack to hang it on yet, it fit nicely on the front of the bike, and it kept all of my stuff completely dry. It's a bit small, so I'll probably get a second one once I get the whole rack thing figured out. 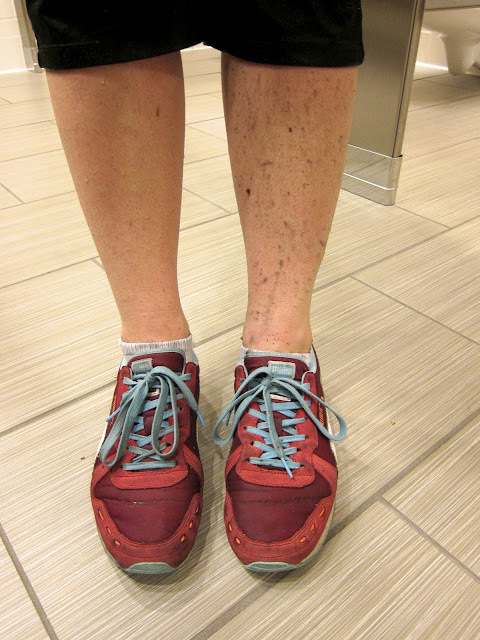 Muddy leg - long pants would have been a good idea. rainy view from the office. Once I changed clothes and dried off, I was rewarded with pie! 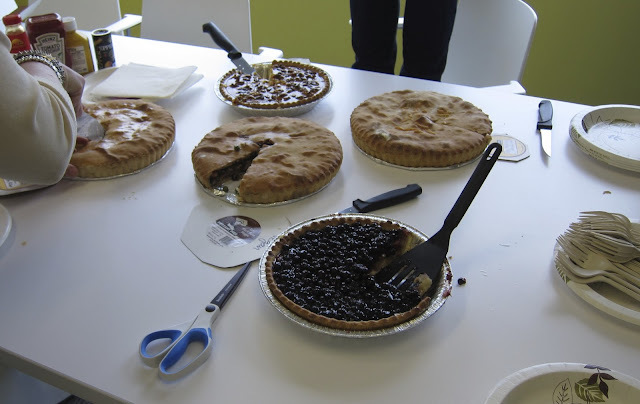 Today was pie day (3/14), and ModCloth celebrated with not one but three rounds of pies at work! I managed to get some pictures of the ones at breakfast. 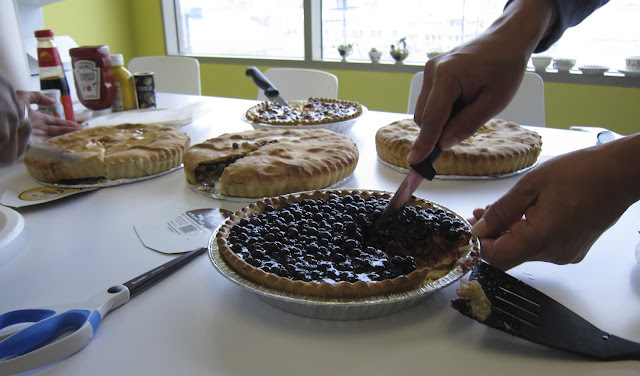 The covered pies are variations on egg/veggie/vegan savory pies, and I tried the frontmost pie, pineapple blueberry. Tasty! Apparently I missed Moroccan lentil pie at lunch, and I did get a little slice of vanilla flan pie in the mid-afternoon. Oh my!